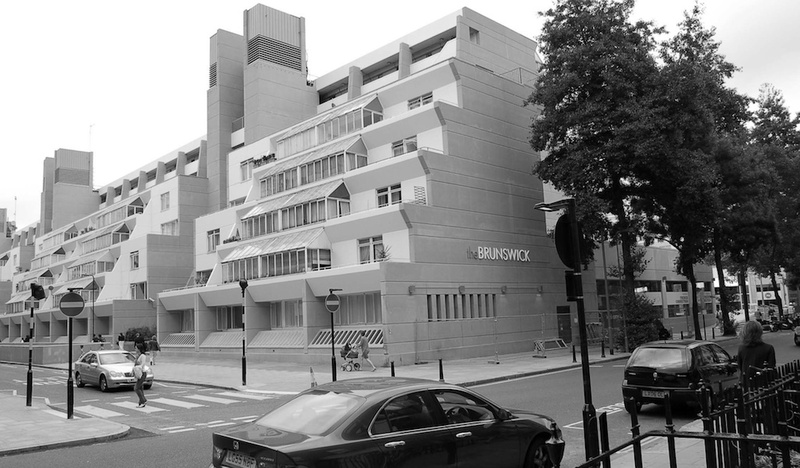 Completed in 1972, the iconic Brunswick Centre in Bloomsbury, West London is one of the first examples of a low rise, high density, mixed-use urban development. 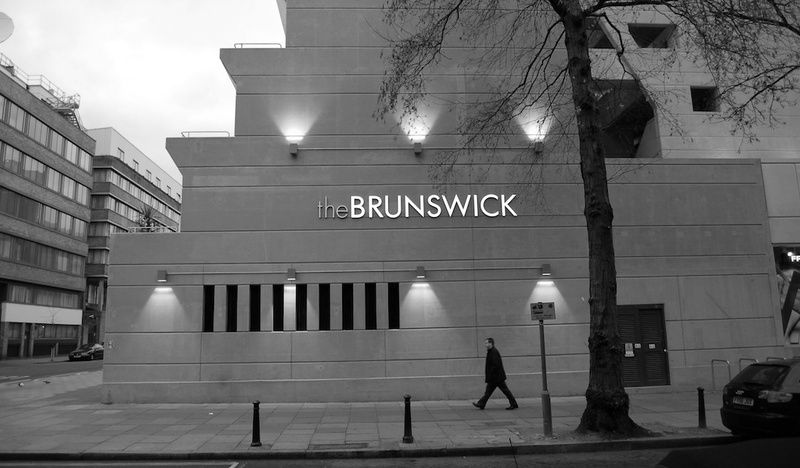 Owner and developer Allied London invested over £20m in improving the building and redeveloping the retail element, to a design by Levitt Bernstein Associates and with the involvement of the original architect Patrick Hodgkinson. 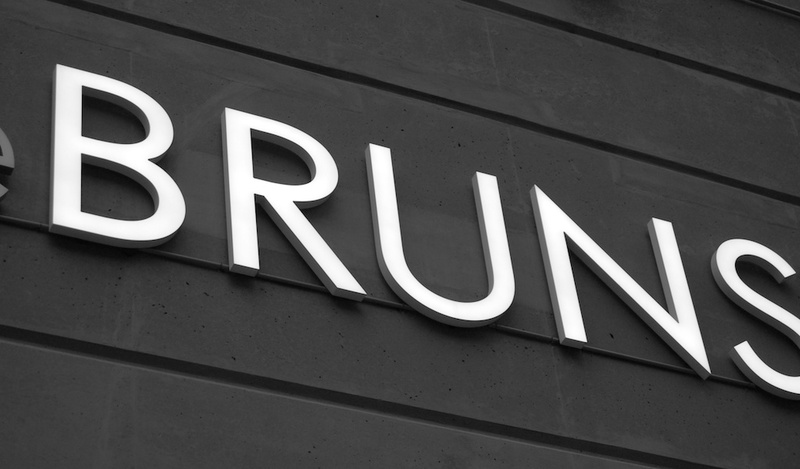 We were asked to design and develop an identity, wayfinding strategy and signage scheme which would successfully draw visitors into the retail development, yet be sympathetic to the Grade II listed building. 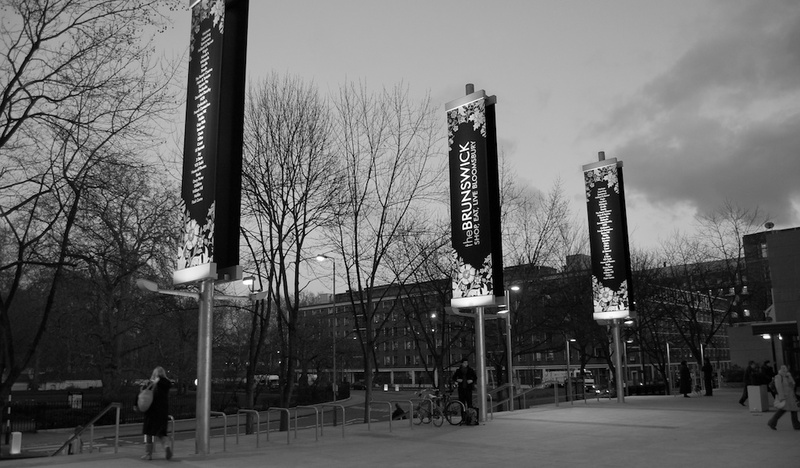 Momentum were subsequently appointed by the main contractor, ISG Interior Exterior, to ensure the sign package would be procured, developed and delivered without compromising the design intent, and to ensure a scheme of the highest quality. 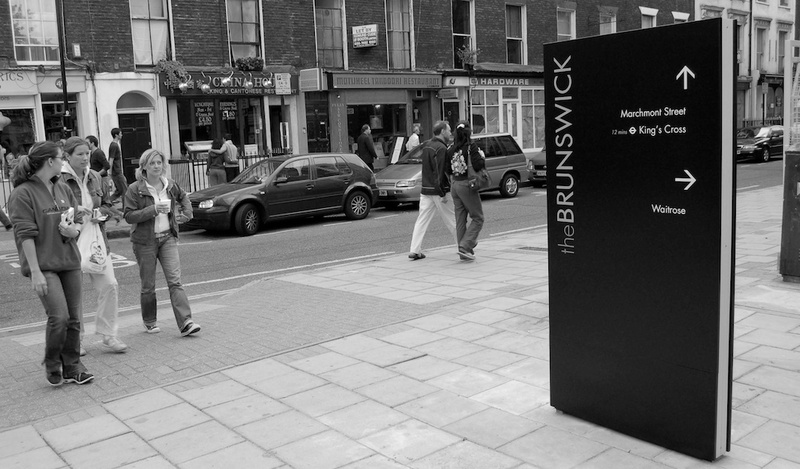 The result is a bold yet sensitive wayfinding scheme which has helped create a real sense of identity and place. All entrances are clearly identified with prominent markers or banners. 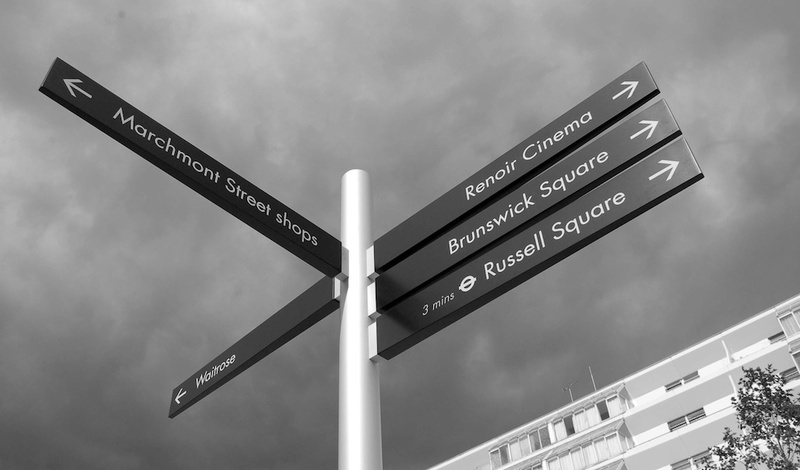 Wayfinding support to key destinations and off-site retail and transport points is clear and legible. 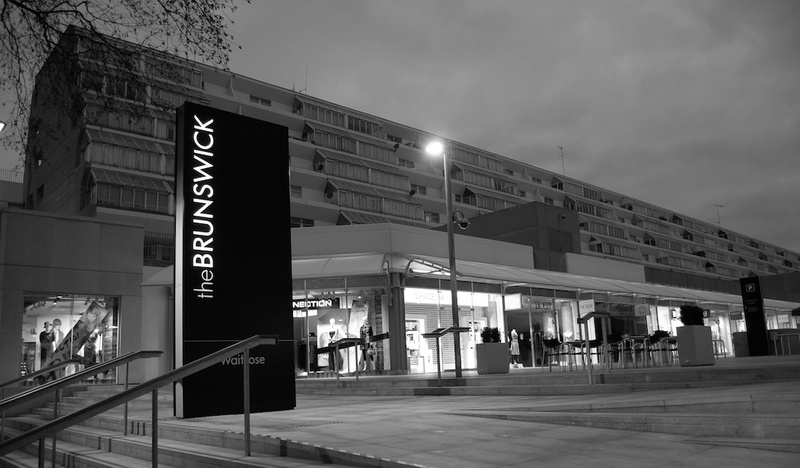 All tenants supplied projecting signs to a design and specification prepared and quality controlled by us, resulting in consistent and highly visible retail unit identification. 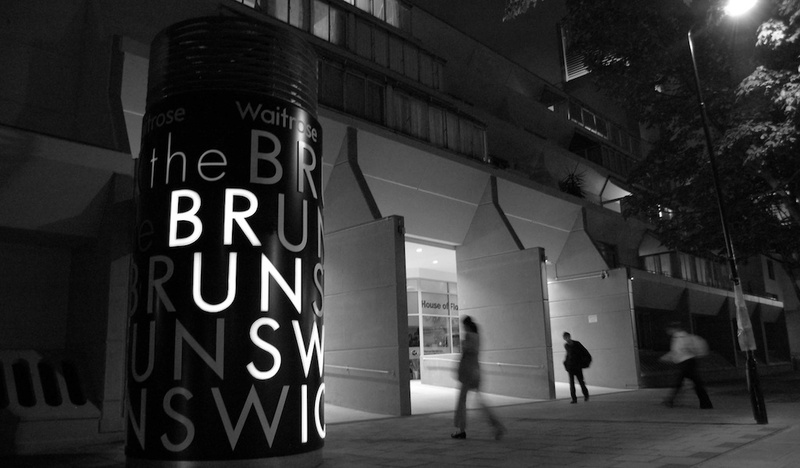 The identity and wayfinding scheme have improved customer experience, and helped significantly increase footfall into and through the space, particularly from Russell Square underground station.